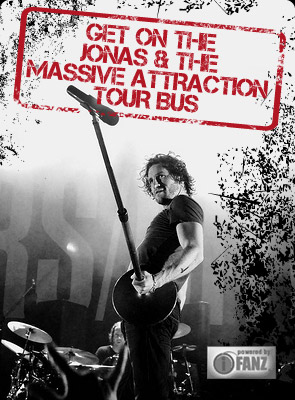 Jonas & The Massive Attraction’s performance in Bonn, Germany, at HARMONIE on March 21, 2012 at 7:00 Pm, will be filmed by the infamous Germany TV show ROCKPALAST. Since 1974, Rockpalast has filmed some of the biggest names in the business, including U2, The Police, Soundgarden and The Kinks to name a few. Pretty impressive company for Jonas & The Massive Attraction to join. The band will appear as special guests with The Soundtrack Of Our Lives for their performance and the show will be broadcast nationally in Germany on WRD television in the near furture. GET YOUR TICKETS NOW to be part of the filming and broadcast at BUY TICKETS or by calling +49-22-861-4042. The new Jonas & The Massive Attraction single in Europe, “Seize The Day” can be purchased on iTunes at Buy Single and the band’s album “Big Slice” is AVAILABLE NOW in Stores and on-line in Europe at BUY CD.